Today I had another good in the mail. It was a Gram Weenie Pro kit from End2End Trail Supply in Lindenwold, NJ. I selected the kit option with no pot since I already had a pot or two in mind. 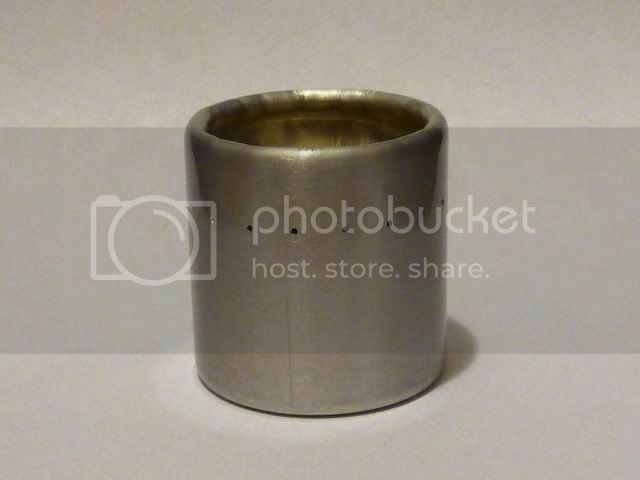 Last week I caught a deal on a great little 700ml titanium pot/lid from Backcountry.com. It was just $27 and too hard to pass up and it’s the pot I used for this review. Ok, so back to the stove. The kit arrived nicely packed with everything I’d ordered. 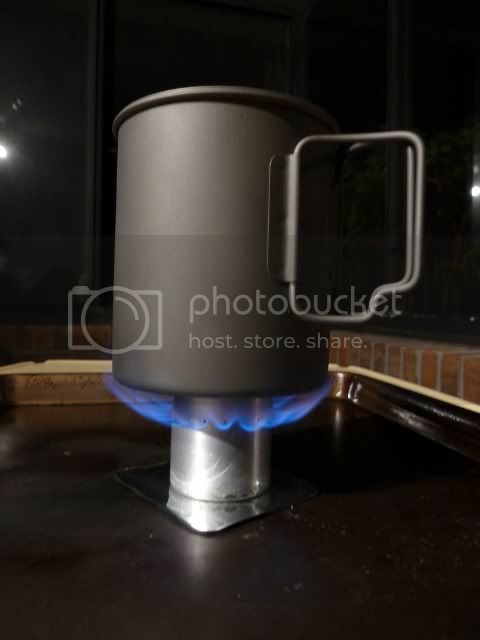 It included the stove, a priming pan, 3.5″ x 23″ soft aluminum windscreen (5.5″ is an option but I decided this would be too tall for my uses), and a 4 oz fuel bottle with the flip cap. When I opened the packaging I was immediately impressed with the craftsmanship and the light weight of the stove. My scale agrees with End2End’s claim of .6 oz. 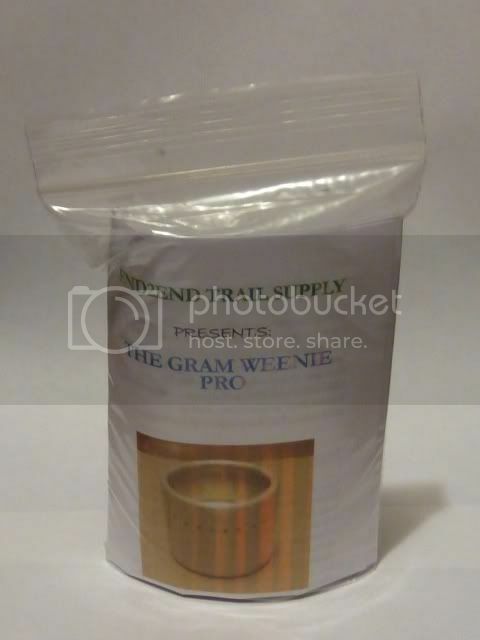 The Gram Weenie Pro holds 1 oz of fuel compared to the Gram Weenie’s 1/2 oz. Much to my chagrin it was raining so I had to stay in our enclosed room. I setup using a cookie sheet to protect my son’s Little Tykes table and went to work. I used the new titanium pot and tested the boil time of 2 cups of water right out of the tap. I was impressed with the 4:30 it took to get to a very nice, rolling boil. 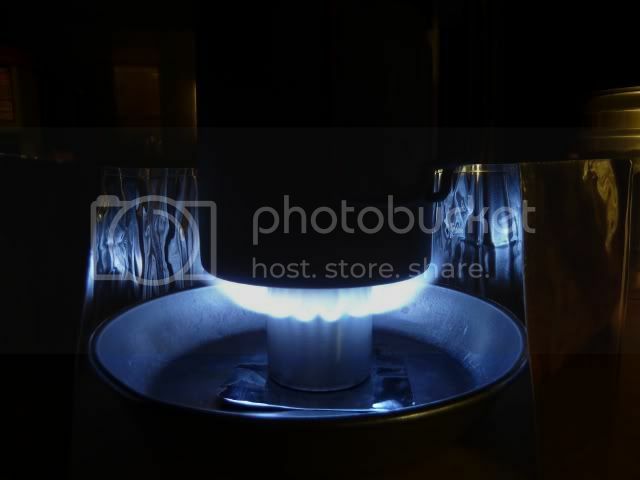 This is probably the best I’ve done with an alcohol stove in quite a while. 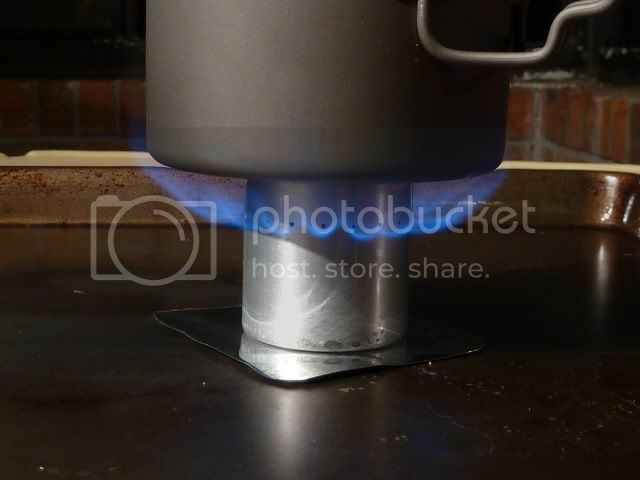 Here are a couple of shots of the pot on the stove. The GWP has a very nice rolled edge so there aren’t any sharp surfaces. The windscreen is also much nicer than the noisy DIY screen I made from the aluminum foil cookie sheets. The total weight of the stove, windscreen, and priming pan came in at 1.6 oz. Combined with my 4.4 oz pot that’s a total kitchen weight (dry) of just 6 oz. That’s certainly a long way from my Snow Peak LiteMax (2.7 oz) and aluminum Trek 900 pot set (9 oz). I shaved almost a full 6 oz or almost 1/2 pound! In addition to being well-made and super light, the stove is very nice when it’s lit. At full bloom it makes a gorgeous stove and I almost hate to cover it up with a pot and windscreen. I’d say that the quality is top notch and I have to admit that I’m really excited about this stove. I can’t wait to take it on the trail with me. For the price it’s very hard to beat. For more information or to purchase this stove, please visit End2End Trail Supply.